You will never know the value of a roof over your head until a category 5 hurricane came and blew it away and suddenly you realized that you are homeless. When your roof is gone you are exposed to the elements – rain, wind, and sun. Every street and avenues on the island contain several houses and apartments without a roof. They are all inhabitable. 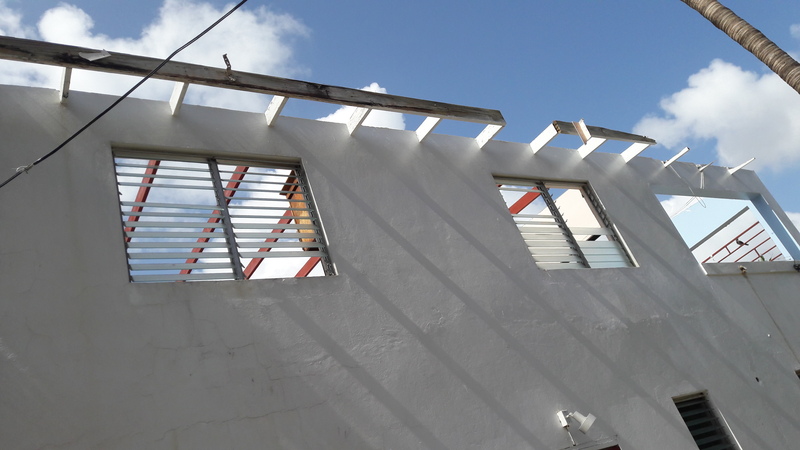 I remembered as a child growing up in the country in Jamaica the landlords use to remove the roof from the houses of tenants who were negligent in their rent. Thinking about it now, I realized that it was a heartless and cruel thing to do to anyone. Nobody can survive without adequate shelter. Hence, our Lord provides the best covering for us. Ultimately, all of us must be covered by the blood of Christ to be in perfect communion with our Creator.